How was the Particle Double Slit Experiment really done? To be precise, what kind of double slits were used and how can such slits be small enough, especially for electrons and buckys balls? Not the answer you're looking for? Browse other questions tagged quantum-mechanics particle-physics or ask your own question. 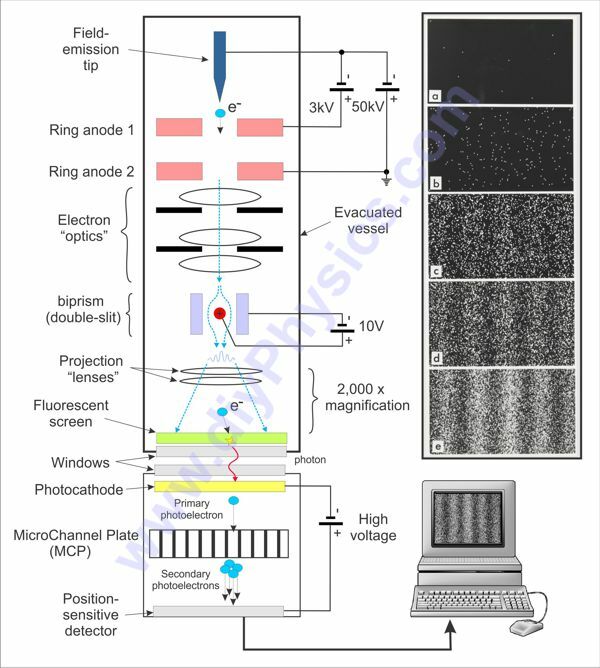 Is this double “double slit experiment” involving entanglement possible? Has a double slit experiment ever been done using a track chamber or even contemplated? If the size of an electron was the size of a golf ball what would the dimensions of the double slits be in a double slit experiment?